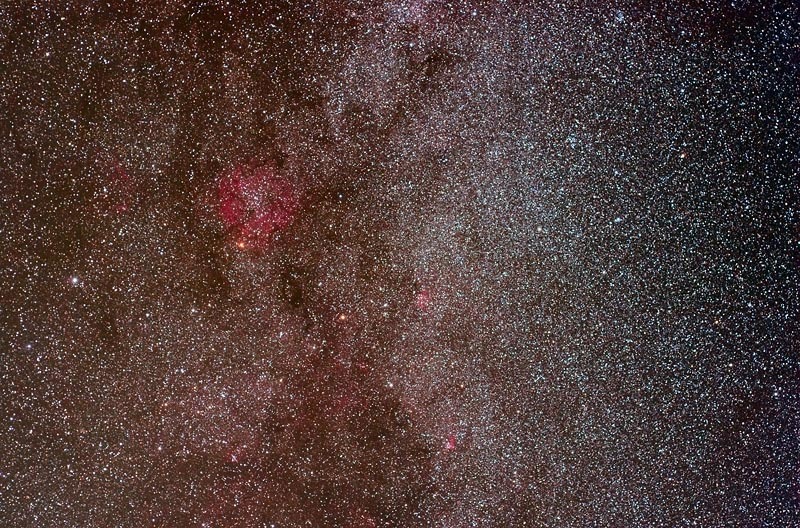 Also includes a bit of Cygnus at top right and Lacerta right. The bright red area shows the Elephant Trunk Nebula and IC 1396. Barnard 169 is the dark area below right while Barnard 160 is the most prominent dust lane above and LDN 1109 is the area to the right around a bright star. 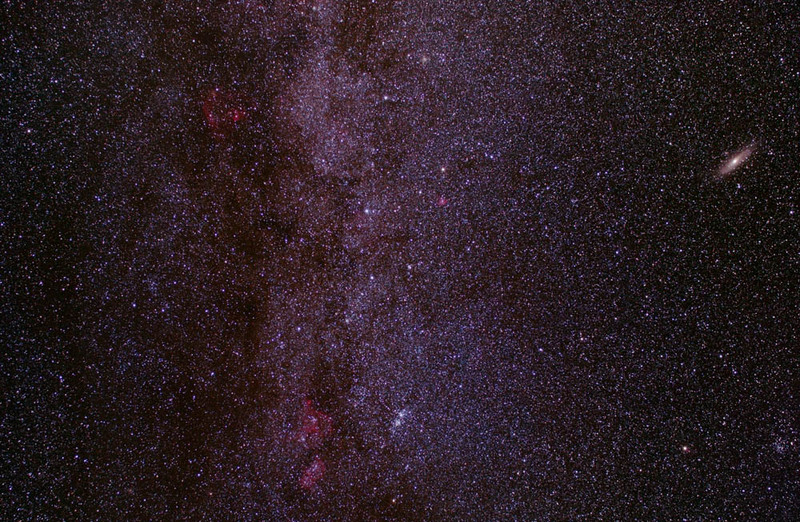 This is a 36*4 minute image Nikon 55mm f2.8 lens at f4 and the Canon 20Da (modified), on the AP 900GTO mount at Starry Nights October 2010. Check out a another view of this area here. There are many nice objects in this image of the Milky Way near Cassiopeia as discussed in the table below, plus I believe that is open cluster Caldwell C28, NGC 752, on the lower right. This is a mosaic using the Canon 20Da (Modified) camera with a Nikon 28mm f2.8 lens at f4. Consists of 23 frames combined with 15 frames at 4 min each, about 2.5 hours total exposure. Canon 20Da (modified), AP 900GTO mount. QHY8 CCD Camera. Other pictures from the camera are are here. I use this Astronomy Image Processing Workflow.